The Vancouver Condo Buzz » LAUNCH! 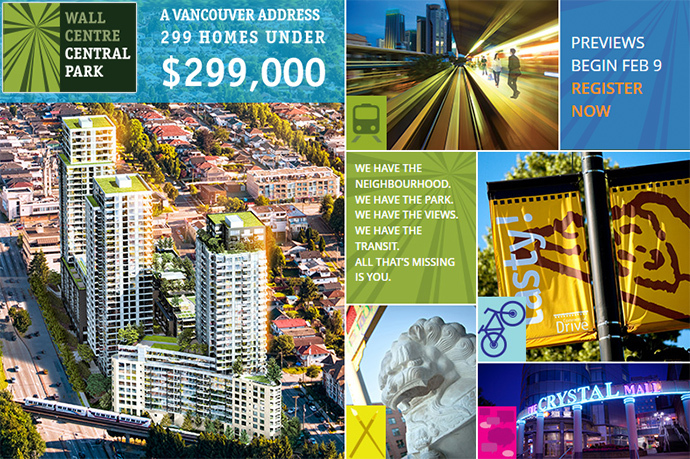 Wall Centre Central Park Vancouver Transit Oriented Condo Community > Homes from $229k with 229 Homes Priced Under $299k! Great Collingwood Location for WCCP Vancouver Condos! « EXCITING NEWS > Richmond River Park Place Condo Tower Launch by MYIE & Intracorp | Riverfront Richmond River Park Place Oval Village District 1 Bed from < $300k; 2 Bed from mid $300k PLUS 3 Bed Floor Plans! LAUNCH! 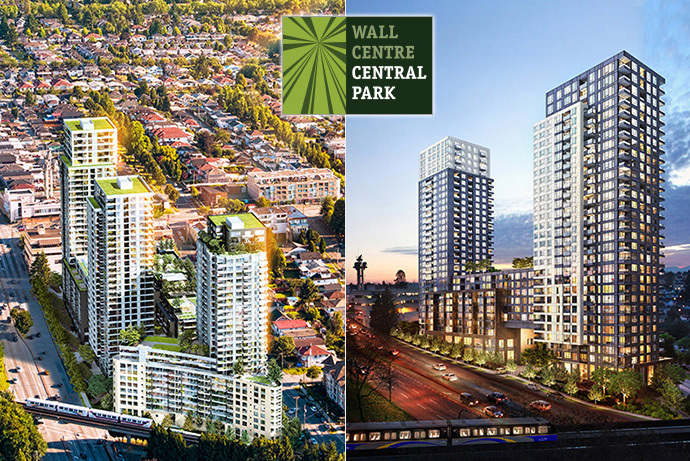 Wall Centre Central Park Vancouver Transit Oriented Condo Community > Homes from $229k with 229 Homes Priced Under $299k! Great Collingwood Location for WCCP Vancouver Condos! Homes starting from just $229,000! 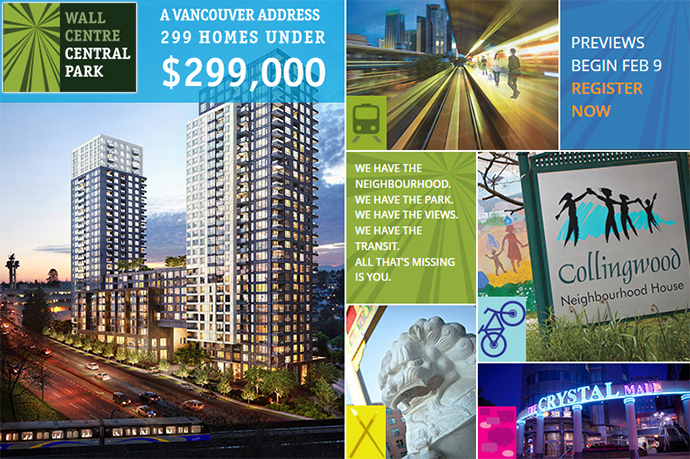 PLUS… 299 presale Vancouver Wall Centre Central Park condo homes are priced under $299,000! ARE YOU GETTING EXCITED? If not, you should be. This is Vancouver real estate’s BEST offering of early 2013 and it’s brought to you by the most trusted developer, Wall Financial Corporation, in one of the most central locations. Vancouver’s most exciting new transit oriented master planned community is located at Boundary and Vanness, just off of Kingsway in Vancouver Central. The Wall Centre Central Park Vancouver condos for sale is in a neighbourhood that has a perfect combination of urban amenities, green spaces/parks, mountain views and accessibility to not only downtown Vancouver, but also Metrotown, YVR and beyond! Representing true value of a transit oriented community, the Vancouver Wall Centre Central Park condos for sale is an incredible opportunity just five minutes walk away from Joyce SkyTrain Station. In addition, residents and investors at Wall Centre Central Park Vancouver condos will have easy access to Crystal Mall, Metrotown, local services, top ranked schools, as well as incredible views of the water, mountain and city skyline. In today’s Vancouver real estate market, investors and home buyers are looking for 1 main thing: TRANSIT! And this transit oriented Vancouver condo community at Wall Centre Central Park condo towers will give you the best of all worlds. Previews start on Saturday, February 9th, so get in early and REGISTER YOUR INTEREST ABOVE!!! A Central Vancouver Condo Address from just $229,000! GET IN EARLY! > CNH Annex at Wall Centre Central Park Vancouver is the Collingwood Neighbourhood House Annex that features a great space for childcare, cooking classes, educational services, tai chi/yoga room and a movie room. From spa inspired bathrooms to smart kitchens, the presale Vancouver WCCP Condos are some of the most high-end yet affordable residences in Central Vancouver real estate market in early 2013. There are 2 colour schemes for all of the WCCP Vancouver Condos that include Light and Dark (very easy to remember!). Inside, all presale Vancouver WCCP Condos for sale will have roller blinds for privacy, ultra wide and durable cocoa wood toned laminate flooring in the living areas and kitchen in addition to broadloom loop pile nature inspired carpets in the bedroom. Modern hardware, open layouts, balconies/outdoor living spaces and high ceilings are other features too. The bathroom oasis at the Wall Centre Central Park Vancouver WCCP Condos for sale will have recessed wet rated halogen pot light at the tub and shower, ultra modern Grohe showerhead and faucets, rectangular Duravit under mounted sinks and a high efficiency Duravit toilet. Also, the bathrooms at the new WCCP Vancouver condos for sale will have a luxurious soaker bathtub with sleek and modern finishing, extra large format tiled floors in ceramic as well as frosted Euro style glass box vanity lighting fixtures and deluxe custom cabinetry with integrated mirrored medicine cabinet with lighting bar. The backsplash and counters are of stunning marble. The kitchens at the Wall Center Central Park Vancouver WCCP Condos for sale will feature durable shaker style cabinets in foil wrap wood and glass with contemporary hardware in addition to luxurious polished quartz slab counters (and backsplashes). As well, the high-end appliance set will feature custom integrated front paneled Liebherr fridge as well as stainless steel dishwasher, duel fuel gas range by Porter & Charles and designer Grohe faucet with pull out spray. Other kitchen features at the Wall Center Central Park Vancouver WCCP condos for sale include convenient counter top overhang for social gatherings, contemporary square edge stylish double bowl sink in ss finish as well as bright halogen recessed pot lighting. The interior design is by award winning BYU Design. For more information, please REGISTER TODAY! 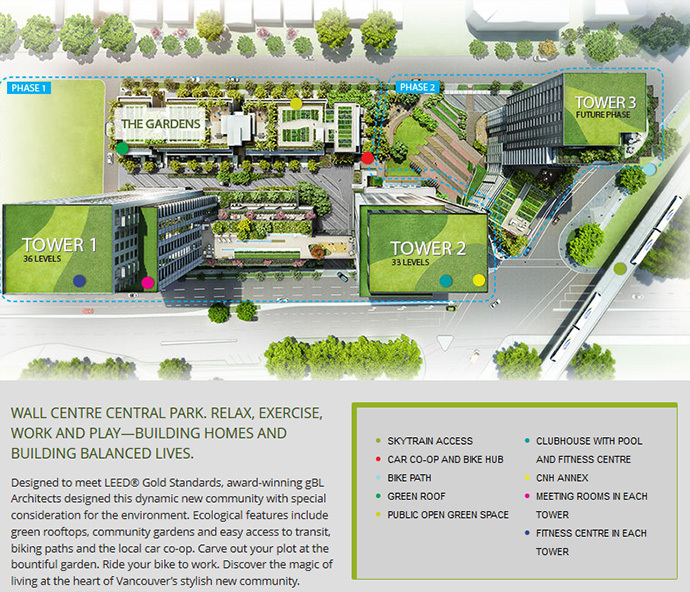 Wall Centre Central Park Floor Plans are coming soon so stay tuned!